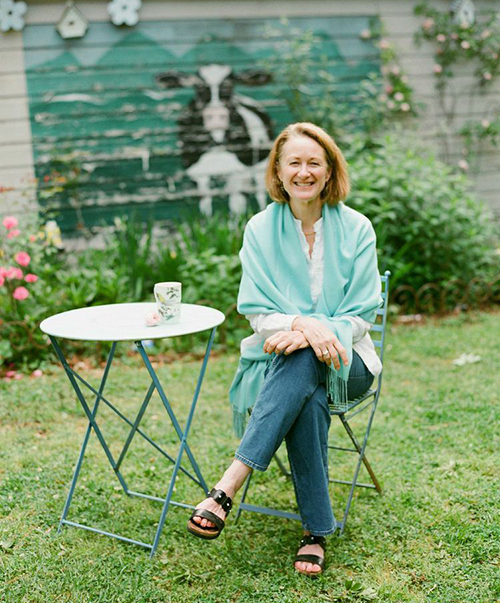 The last time I visited HollyBeth Anderson in her studio workshop, she had just finished concocting a new product for her ever expanding USDA Organic skincare line, HollyBeth Organics. Her latest endeavor combines basil and bergamot essential oils with camellia and sunflower base oils to create a luxurious hand wash and body lotion. I'm blogging about it because I just can't get enough of it. I'm addicted. Bergamot isn't widely known in the U.S. but it's a fragrant fruit about the size of an orange. The fruit can be found growing in France, Italy and Turkey and many use it for its essential oil or to make marmalade. It's antibacterial, antiseptic and anti-inflammatory, making it a popular skincare choice. Bergamot also helps to open the heart chakra and uplift the mind. Basil is antiseptic, antibacterial and anti-inflammatory. It's also soothing to the skin and full of antioxidants to replenish and protect. As the bergamot uplifts the spirit, basil helps bring spiritual clarity, which makes it a really good way to start your day. I just can't say enough good things about it. HollyBeth Organics is the only USDA Certified Organic skincare company in Georgia and there truly is an incredible benefit in using only organic oils on your face and body. Once you start, you can't go back. I love this pic of HollyBeth in her lovely backyard garden. She lives and breathes an organic, healthy and beautiful lifestyle. Always an inspiration... Find her Basil Bergamot goodness, here. And explore HollyBeth's online shop to find lots of skincare options that will make you an addict. But in the best way possible.